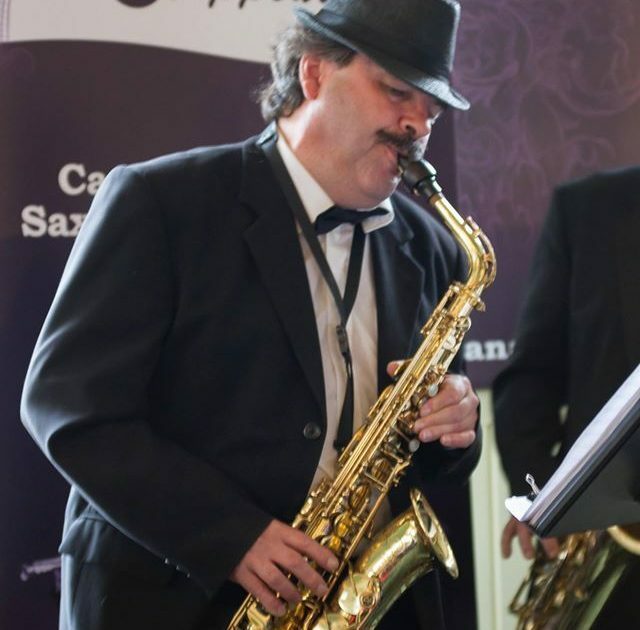 Sax Appeal is comprised of professional musicians located within the National Capital region who all adhere to the standards of the American Federation of Musicians. 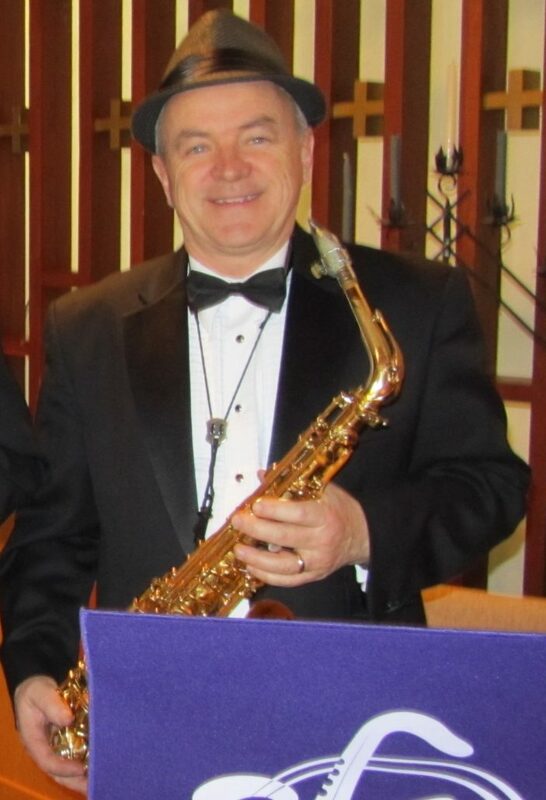 Dave Renaud has been an active musician in the Ottawa region for over 35 years. Dave is a “doubler” playing all the saxes, clarinets and flutes. He studied music at both Ottawa University and Humber College. Dave has performed with the NAC orchestra, Ottawa symphony, Gatineau symphony, Orpheus pit orchestra, and countless other diverse show productions. Dave brings diverse experience to the ensemble having played many styles such as Klezmer, jazz, rock, lounge, studio, orchestra, marching band and dance band music. He teaches and conducts clinics on woodwinds. His band Dr Jazz works for corporate functions and private events. 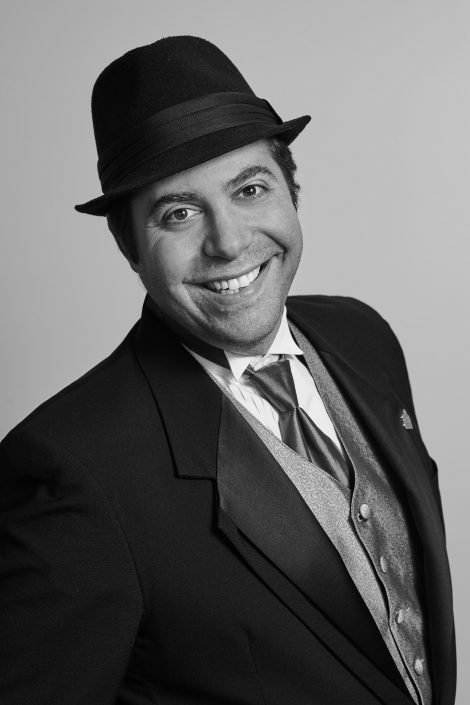 Dave is also a Registered Piano Technician serving a large client base in The Capital Region. 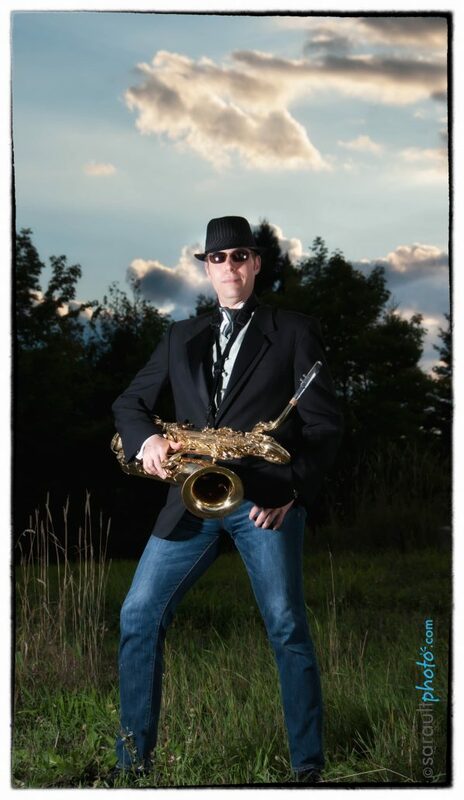 Brian Asselin is a songwriter / saxophonist / arranger living in Ottawa, Canada. He currently works on co-writing for such groups as Rebecca Noelle and The Commotions and writes music that can be found in the Pop with a cross-over to R&B/Soul. He has been hugely influenced by Motown and used to play with The Funk Brothers out of Detroit. The world around him has always been his biggest muse when it comes to songwriting. He likes to take situations in his life or the life of his friends and family to come-up with the best soundtrack. His songwriting career started back in 2010 after graduating from teachers college. After his stint at the University of Ottawa, he co-wrote a song with a fantastic musician and friend – Eric Disero. 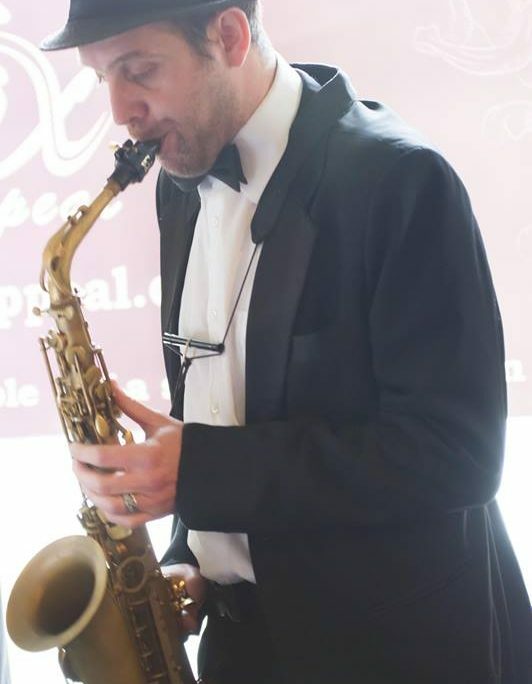 The song ‘You Have Made A Difference by Brian Asselin of Sax Appeal‘ has been played and performed around the world and has been featured on Diane Sawyers Late Night News. Since then, Brian has been very busy writing enough material to release his first EP which you can purchase through iTunes. The songs he tends to write are more or less in the pop music genre influenced by such great artists as James Taylor, Bruno Mars, Cee-Lo Green, and so many others. In 2013 he released a project entitled Delbert & The Commotions featuring Funk Brothers frontman Delbert Nelson. The album is a throwback to Motown and he’s proud to say that two tunes from the album were placed on shows on HBO as well as ABC. Brian is currently working on a new Commotions album featuring Rebecca Noelle, and Jeff Rogers. Please sign up for Brian Asselin’s newsletter here. 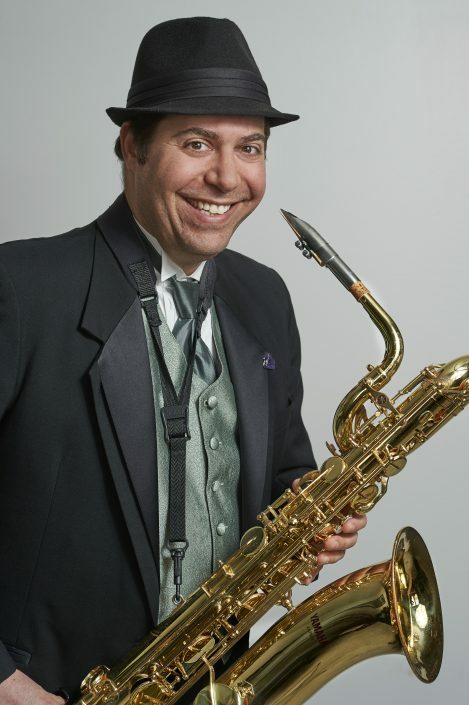 Sandy Gordon is a professional musician. He likes music. He loves playing the saxophone. 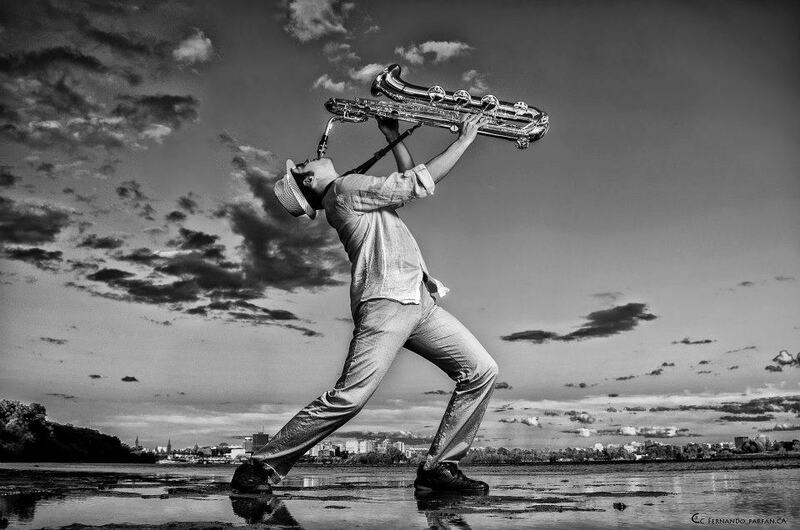 Playing the sax has given him the opportunity to travel and play all over the world. He has played in pretty much every kind of band out there, including jazz bands, big bands, concert bands, orchestra, blues bands, swing bands, latin, Motown, R&B, Rockabilly, Country, show and parade bands. 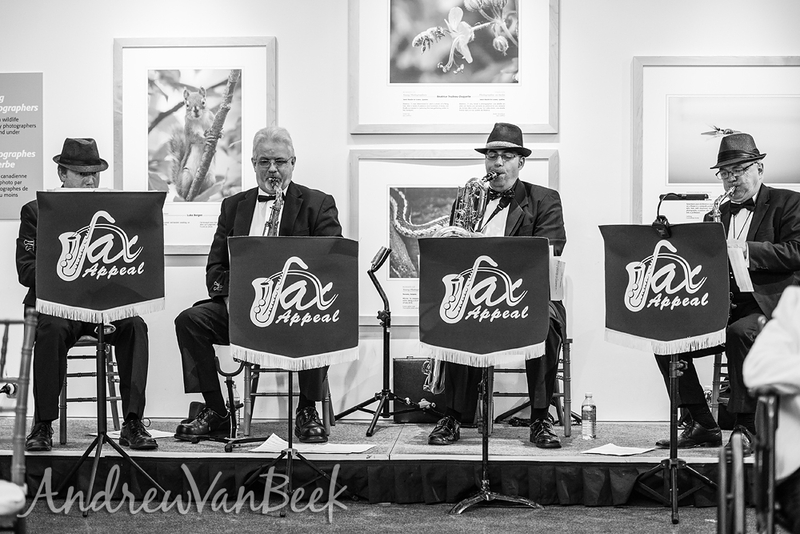 He is now back in Ottawa and playing with a pretty cool sax quartet called Sax Appeal. Jarrod Goldsmith is a Canadian small business community builder and is one of Ottawa’s best known entrepreneurs. Besides being an accomplished musician and business owner, he ran a strong campaign for Ottawa City Council in the October 2018 municipal elections. Jarrod has been playing and studying the saxophone since 1986. Originally from Montreal, Jarrod began playing professionally in High School. While pursuing a B.A. Honors degree in archaeology/anthropology at McGill University, Jarrod studied with the late esteemed Professor Gerald Danovitch and played in numerous McGill ensembles. Jarrod continued his studies and music while earning a Masters degree in archaeology. During this time, he joined the University of Alberta ‘Jazz Band 1’, and also a hi-octane Latin band called Orchestra Energia that saw him gigging throughout Western Canada. Upon moving to Ottawa in 2002, he quickly became a regular in the Ottawa/ Gatineau music scene. 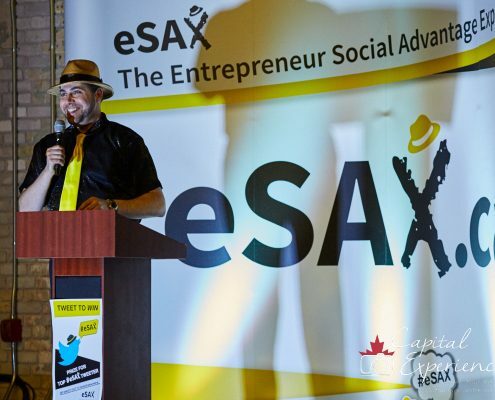 Jarrod’s passion for music, organizational abilities and public relation skills make for a perfect combination in creating not only Sax Appeal, but also eSAX (The Entrepreneur Social Advantage Experience); an entrepreneur networking community and tradeshow for Ottawa small business to create connections, gain knowledge and promote collaboration among regional Chambers of Commerce and community/business leaders. 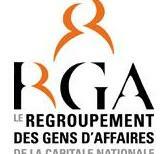 Events are held every 3 months (January, April, July and October). 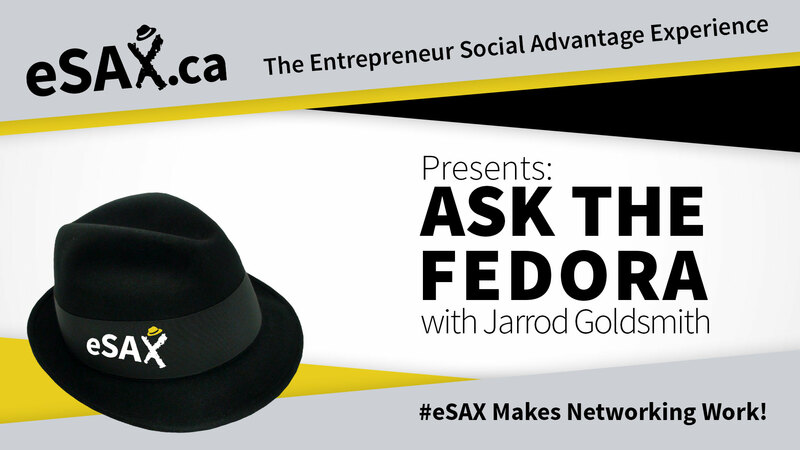 Building on his vast networking experience (and leveraging the whole ‘Fedora’ branding that he’s known for), he also hosts a Youtube video series aptly named ‘Ask The Fedora’ discussing a wide-range of networking/business tips that people may find useful to help make their networking endeavors not only less stressful, but successful! 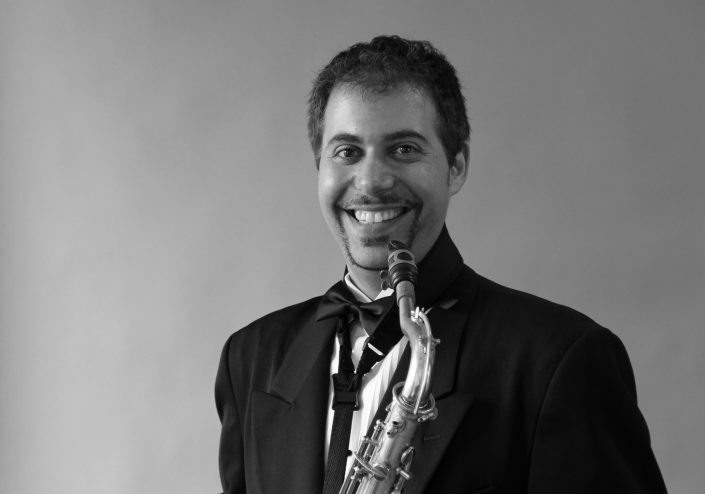 Jarrod has traveled extensively pursuing both music and archaeology across North America, as well as overseas in Japan, South Korea, Israel, and throughout Europe. Jarrod is an extremely enthusiastic and dedicated communications professional who knows what it takes to make your occasion absolutely shine. 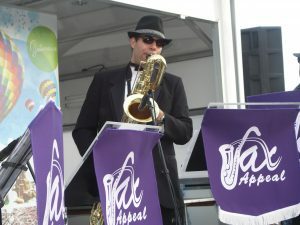 It would be his pleasure to answer any questions you may have (info@saxappeal.ca). 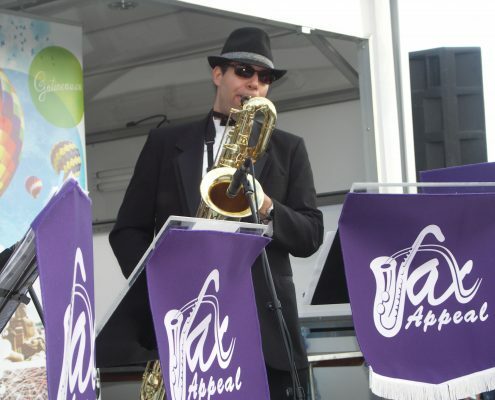 Sax Appeal is made possible by some extremely talented musicians! The following is a list of saxophone players (in alphabetical order) who have made sure the show goes on. 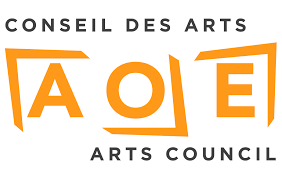 Brian Asselin, Maxime Brisson, Petr Cancura, Bernard Cloutier, Brian Coughlan, Patrick Dennison, Elias Dubelsten, Sylvie Duchesneau, Jarrod Goldsmith, Sandy Gordon, Richard Hardy, Tyler Harris, Victor Herbiet, Daniel Ko, Christine Labbé, Yves Lacoursière, Jasmin Lalonde, Mike Mullin, Terry Owen, Pete Pereira, JF Picard, Gord Price, Dave Renaud, Vince Rimbach, Jason Scott, Gord Smith, Ian Schwartz, Val Suriano, Stefane Trudel, Pierre Vaillancourt. Thank you, and happy playing everyone!